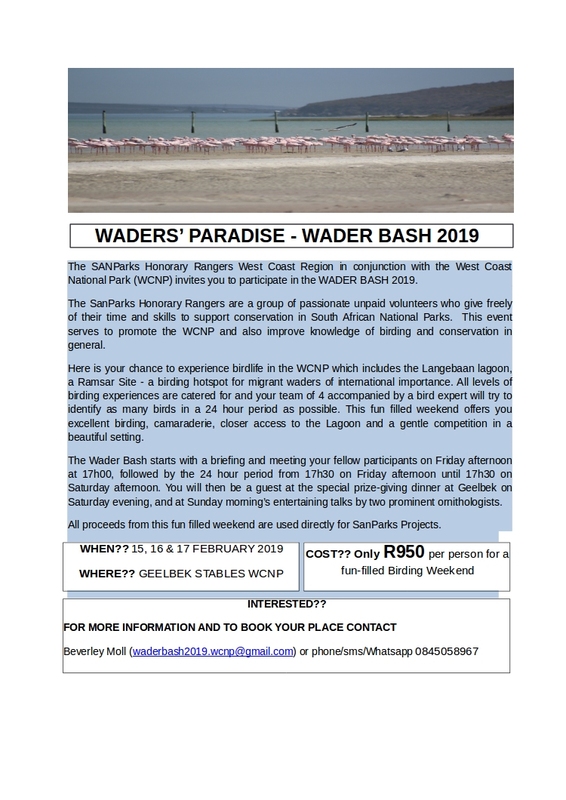 West Coast National Park Wader Bash 2019. See the flyer for information. Also see the additional information and booking forms.